PPC advertising is a common way of promoting a service or product on the internet. In fact, it is possibly the most common online advertising technique though that would depend upon definitions. 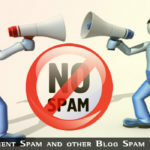 Email marketing is popular, and even the very act of setting up a niche website could be argued to be a promotional technique. Semantics aside, what exactly is PPC advertising? A. What is PPC advertising? B. Registering with Google AdWords. C. Setting up PPC adverts. E. Analyzing results and testing. F. The dangers of Pay to Click programs. A. What is PPC – Pay Per Click Advertising? What is PPC? It is short for ‘pay per click’ which, for the uninitiated, is still likely a bit confusing. Basically, PPC involves you placing adverts online and only paying for these when somebody clicks on them. Why they click makes no difference – you pay anyway. They may click for more information, they might want to buy the product or service, or might even click the advert because they are interested in your niche and want to find out what your website has to offer. The reason is immaterial – you pay for each click whether that leads to a sale or not. For that reason you must do all you can maximum your conversion rate of clicks to sales. There are two major PPC programs available to you that you can use to advertise your business: Google AdWords and Facebook ads. There are many others, such as Chitika, Bidvertiser and AdBrite, but these are the two on which we shall focus here. The same general principles apply to them all. When you carry out a Google search, you get two sets of search results. Those on the right of the page and also at the top of the left hands side are the paid AdWords adverts. The others on the left are organic search results. The adverts are listed in order according to how much the advertiser is prepared to pay for each click. We shall first explain how to use PPC using Google AdWords as an example, and then show why Facebook is a serious competitor. If you already have a Google account of any kind through Gmail, Google+, YouTube or AdSense then you can use the same login details to use AdWords. If not, or if you want to run your AdWords campaigns from a different account, then click accordingly. Setting up your account is easy. You bid on individual keywords for the placement of your advert. The highest bidder for each keyword gets the top #1 ranking, and so on downwards. Many bid low and still get clicks, and the beauty of this system is that you only pay when somebody finds your advert and clicks on it. You can balance the cost of each click with the number of clicks expected from the price you pay. That can be from 1 cent to tens of dollars. Keyword Planner is a useful tool offered by Google that enables you to choose the best keywords for your product. Be very specific with your keyword – too broad a keyword (‘golf balls’ rather than ‘Titleist golf balls’) will likely result in you paying for too many clicks that do not result in a sale. This is the most important part of an AdWords advert, because it is in bold, blue text and therefore catches the eye. People tend to scan down a page of adverts until they notice one that seems to offer what they are looking for. You must state exactly what you are advertising, and do so with no more than 25 characters including spaces. You can capitalize the first letter of each word, but no more than that. If you use uppercase for every letter then your advert may be rejected. Want to Watch All TV Channels Online? Check out the Google Adverts that come up when you search for the keywords you intend using in your advert. Keywords are very important, and their use in your title and description will be critical to the Google page which they will be displayed. Always keep in mind that you are paying for specific keywords. Choose the wrong ones, and you could be throwing away a lot of money. Make sure you use the Google Keyword Planner, even if you also use another keyword tool. This planner is tied into AdWords and can help you with projected traffic and price per click. Google AdWords can be displayed on dozens of pages, yet only the first two are worth a listing. To be honest, unless you get a Page #1 ranking for your advert then your response will be low. Nevertheless, this may not matter to you, because you do not pay if you get no clicks! In that case, why advertise? What you want is a price that genuinely reflects the profitability of your product or service and also lets you enough traffic to make money. Google offers you two other lines to describe your advert, each of 35 characters including spaces. You use the headline to attract interest, and then the descriptions to get the click. Your objective here is to get a click – but it must be a click from somebody genuinely interested in your product or service. Otherwise, it is wasted money. Make Money Online in Just One Week. Latest Styles at Massive Discounts. Free Shipping Right to Your Home. That is spot on! ‘Ball’ is in the singular to keep it to 25 characters. This advert will get more clicks than either of the previous two because it is specific to what the customer is looking for. In its absence, people might click on either of the other two and might also leave quickly if they do not immediately find the exact golf ball they are searching for. Every click will cost you money, so you must do all you can to state exactly what it is you have to offer. Immediately below the title, you will find the link to the offer (blocked out in the examples). Your landing page must be exactly what the title and description offered. You can link to your own website, not to an affiliate site. However, you can link to your own pre-sales page for affiliate products. Version 1 should point to a page offering golf balls in general, with a search function to enable the exact product to be located. Version 2 should point to a page offering Titleist golf balls. Version 3 should point to a page offering exactly that golf ball. When people click on a PPC advert, they expect to find exactly what you are advertising. There are exceptions, but genuine clickers want to find more information on your offer. You must make sure that it exactly matches any offer you have made in your advert. Do not state your product to be unique if it can be found on other websites, and do not state a price if it is unavailable on your own website. You will rapidly lose credibility. Increasing numbers of people are going to forums and comparison sites to make sure that you are respectable and honest, and that they are getting the best deal. That’s the way to go, and the only way for you to make it using PPC advertising. Describe what you have to sell, whether that is offering a service or a product, and then connect your advert link to a page on your website or blog offering exactly what you are advertising. You pay for each click, remember, not for each impression (view) of your advert. You must, therefore, do your utmost to make as sure as you can that people who click on your advert are genuinely interested in buying what you have to offer. To achieve this you must word your entire advert to make it perfectly clear what you are selling. Otherwise, you waste clicks – and so waste your own cash. 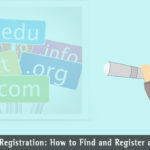 Once you have registered you can set up advertising campaigns – each campaign for one specific product. Within each campaign you can set up as many adverts as you wish, each, for example, being focused on an individual keyword or phrase. When setting up campaigns it is normal to use one product, or product group, as the subject of the campaign. The metrics and analysis tools provided by Google will give you the statistics on each advert published within your campaign. This facility leads directly into how you can analyze and test the results of your campaigns and individual adverts. The AdWords program offers excellent analytical tools that you can use to assess the effectiveness of each advertising campaign, and also the individual adverts you use within each campaign. Thus, you can test the relative performance of two different product ads, or even two different titles for the same product. Clicks: The total number of clicks over the period – you can choose the period. Impr. : The number of impressions or individuals to whom a specific advert has been displayed online. If 100 people see your ad online that is 100 impressions. Avg. CPC: The average cost for all your clicks – the total you are charged for your clicks/the total number of clicks. Avg. Pos. : The average ranking position of your adverts relative to those using the same keyword. Labels: You can apply labels to each element of your campaign and use them to sort results into groups that may be important to you. For example, all products being advertised using the same keywords, or which campaigns use the same ads. By using this information you carry out tests to compare keywords for the same products or compare headlines for the same adverts. You can compare Line 1 descriptions and also whether or not alternative forms of the URL for your landing page make a difference. Testing is extremely important with PPC advertising. Remember it is pay per click, so you want the best possible return for each click on each advert. Analyze them all and test them all with alternative wordings. You can test two together and delete the least performing advert. Google operates a system known as Adsense. This enables webmasters and bloggers to allow Google to publish relevant adverts from the AdWords program on their web pages and blog posts. The site owners choose where these adverts are placed, and they get paid each time a visitor to their site clicks on an advert. The site owner gets paid monthly for all the clicks made to adverts on their pages – this is taken from what Google earns from the AdWords client – you! Let’s say you pay 50c a click – Google might take 15 cents, and the site owner gets 35 cents. So for every $100 you pay in AdWords advertising fees, you could be giving $70 to people being paid if others click on your ads published on their websites. Not only can they increase their earnings by getting friends to click on the ads, but also join programs where they pay for clicks on the links on their websites. Google will claim they have this under control, but this is doubtful. Nevertheless, most people that use Google AdWords are more than happy with the results they get – others less so. The latter may be best to look at the accuracy of their adverts or the quality of their landing pages. 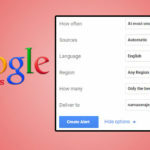 You can choose whether or not your adverts are placed on Google’s partners’ sites – these are blogs, websites and other types of website that display Google ads. Agreeing to this will get you a lot more clicks, but you can never be certain of their quality or what percentage result in sales or conversions. 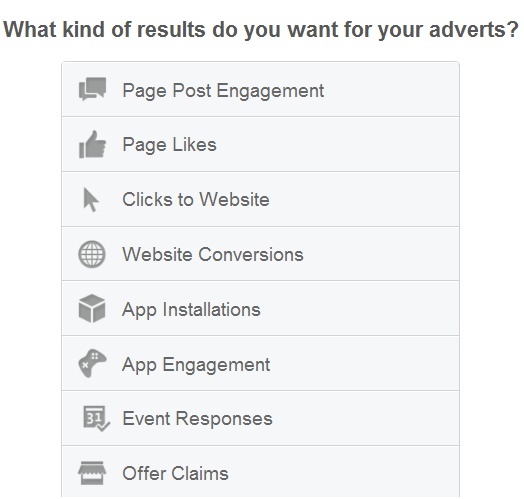 You can choose any of these, some charging you for displaying your advert to people, and others charged per click. Click on the result you want from the advert. 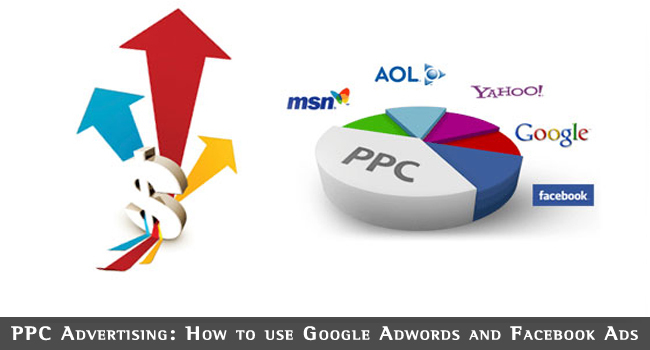 For straight PPC advertising, as we are discussing here, you want the Clicks to Website or Website Conversions option. To get conversion rates you must use a tracking pixel. It is then easy to set up your adverts. Simply follow the instruction, and it is difficult to get it wrong. Unlike AdWords, Facebook ads are paid automatically each week from a pre-registered credit, debit card or PayPal. However, each also allows you to set a daily or even monthly limit to your expenditure so you do not lose control of your spending. With Google AdWords and Facebook, you have between them among the two most popular sites in the world on which to advertise. Traffic counts when you advertise and nobody can argue that Google and Facebook do not get lots of traffic! Many will argue that Facebook is a better source of potential customers than Google, but much depends on the products and services you are offering. Only you will know whether or not your products are best suited for advertising on social media rather than on a regular search engine. If you are unsure, then run the same ad on each, paying the same per click and compare results after, say, a month. Keep in mind, you only pay when you get a click, so set each for the same expenditure each month, whether that is $10 or $1,000. Then compare the number of clicks with sales – or your conversion rate. Google has a wider international reach than that of Facebook, but the latter has more individual page views. This means that the same people can be exposed more times to the same advert than with Google. However, the CTR (click-through rates) are relatively low with Facebook – around 0.05% which is a tenth of Google’s AdWords figure. Not only that, but Google offers a much larger selection of advertising formats, such as mobile web, images and video ads through its YouTube program. In comparing AdWords vs Facebook as, the conclusion is that Facebook has a way to go before it can truly compete with AdWords, but it is getting there. It is easy to check for yourself by running the same ad on both platforms and analyzing the results.